Theater Talk: At Shea's - golden tickets for CHARLIE and HAMILTON, too! In the musical CHARLIE AND THE CHOCOLATE FACTORY on stage at Shea's, young Charlie Bucket is lucky to get a Willy Wonka golden ticket. Meanwhile, Shea's has partnered with Ticketmaster to thwart HAMILTON scalpers with their "Verified Fan" program which, if you're a lucky winner, will give you a (golden) access code to buy HAMILTON tickets. PINKALICIOUS runs two more weekends, fun for both girls and boys too! 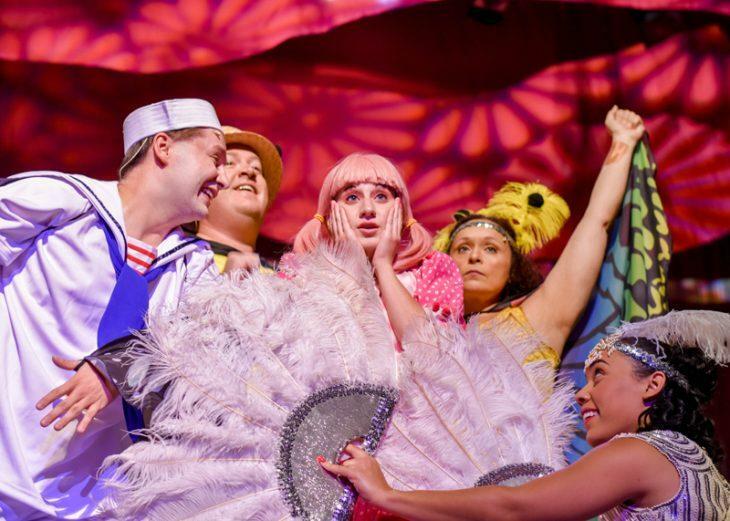 Mike Benoit, Kevin Kennedy, Sabrina Kahwaty, Marta Aracelis, and Dominque Kempf star in Kenneth Shaw's stunning set and costume design in PINKALICIOUS, through October 7 at Theater of Youth. Go to hamiltonbuf.tmverifiedfan.com Sept. 26 through Oct. 2 and connect your Ticketmaster account to register. Once registered, you will receive a confirmation email. Receiving a confirmation email only means your registration has been submitted. It does not mean you will receive an offer code. Fans may only register once. Multiple registrations will disqualify you from the Verified Fan event. Please note: Registering does NOT guarantee you will be verified, receive a code or have the ability to purchase Verified Fan tickets. HELLO, DOLLY!, musical by Jerry Herman presented by The Niagara Regional Theatre Guild, directed by M. Joseph Fratello, starring Dianna Kolek, Marc Ruffino, Michele Holden, Richard Plotkin, Angelo Heimowitz, Sarah Mullin. 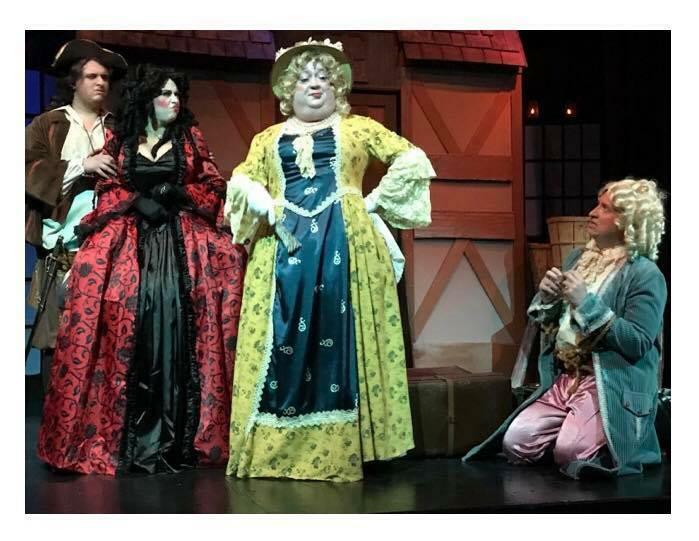 Through Sept. 30, Fri at 7:30 p.m, Sat at 3 p.m & 7:30 p.m, Sun at 3 p.m. Ellicott Creek Playhouse, 530 Ellicott Creek Rd. Tonawanda (260-2319). A LITTLE MURDER NEVER HURT ANYBODY, presented by Western Door Playhouse, directed by Sami Carol. Through Sept. 30, Fri & Sat at 7:30 p.m, Sun at 2:30 p.m. Woodbox Theatre, Niagara Arts and Cultural Center, 1201 Pine Ave. at Portage Rod., Niagara Falls (297-5910). EDGAR LEE MASTERS’ SPOON RIVER ANTHOLOGY, adaptation conceived and arranged by William Group and John Reich, a Dessert Theatre production presented by Western New York Players. Oct 5 & 6 at 7:30. Immanuel Lutheran Church, 107 Scott St., Tonawanda (692-0906). THE WOLVES, play by Sarah DeLappe presented by Niagara University Theatre, directed by Adriano Gatto. Oct 11-15, Thu at 7, Fri at 7:30, Sat at 2 & 7:30, Sun at 2, Mon at 7. Leary Theatre, Clet Hall, NU campus (286-8685). THE BARONESS AND THE PIG: A much more sinister Pygmalion story. At the Jackie Maxwell Studio Theatre through Ocotber 6. GRAND HOTEL: The Tony-award-winning musical set in 1920s Berlin on the Festival stage through October 14. HENRY V: First act set in a World War I trench, Second act in a military hospital. At the Jackie Maxwell Studio Theatre through October 28 (end of season). THE HOUND OF THE BASKERVILLES: by A.C. Doyle, dramatized, on the Festival stage through October 27. THE MAGICIAN’S NEPHEW: The "prequel" to C. S. Lewis’s "The Lion, The Witch, and the Wardrobe" from The Narnia Chronicles on the Festival stage through October 6. O’FLAHERTY, V.C. : by Shaw about a disenchanted Irish doughboy during World War I. The lunchtime show. At the Royal George Theatre through September 29. OH WHAT A LOVELY WAR: an anti-war play at the Royal George Theatre through October 13. BRONTE:THE WORLD WITHOUT is an ultimately disappointing look back at the three sisters who lived in poverty, but wrote some of English literature's most enduring novels. At the Studio Theatre, through October 13. THE COMEDY OF ERRORS: an early, lightweight, Shakespeare comedy. At the Studio Theatre through October 14. CORIOLANUS by Shakespeare directed by the formidable Robert LaPage and starring Shaw favorite (on loan) Andre Sills. A must see at the Avon Theatre through October 20. JULIUS CAESAR by Shakespeare, a gender bender starring Seana McKenna in the title role. At the Festival Theatre through October 27. LONG DAY’S JOURNEY INTO NIGHT by Eugene O'Neill. A classic with two of Stratford's venerable stars: Seana McKenna and Scott Wentworth. At the Studio Theatre through October 13. NAPOLI MILIONARIA! by Eduardo De Filippo stars Tom McCamus (what a voice!) and Brigit Wilson (who played Tillie Boulter in the 1987 "Anne of Avonlea" seen locally on PBS). At the Avon Theatre through October 27. PARADISE LOST by Erin Shields, inspired by John Milton's classic, is a first rate, not to be missed, although R-rated, production. At the Studio Theatre through October 14. THE MUSIC MAN by Meredith Willson is a traditional favorite, lovingly produced with stunning dance numbers, and the greated "Wells Fargo Wagon" horse puppet you'll ever see. At the Festival Theatre through November 3. THE TEMPEST by Shakespeare. More gender bending with Martha Henry as Prospero, at the Festival Theatre through October 26. TO KILL A MOCKINGBIRD Harper Lee’s novel brought to the stage, dramatized by Christopher Sergel at the Festival Theatre through November 4. Local (WNY) listings adapted from "On The Boards" appearing in Artvoice 9/26/2018. Shaw and Stratford listings style inspired by "Playbill" appearing in The Public. Clifford Odets was expected to inherit the mantle of the great American dramatist Eugene O'Neill, and you can see why in Odets' 1937 drama GOLDEN BOY, about a boxer who really wants to be a violinist. Across Main Street, at the Alleyway Theatre, PHILOSOPHUS had its world premiere, and will no doubt be tightened up a bit by the playwright Colin Speer Crowley, but as it stands its sold-out shows are full of comedic shtick. There's a new production of PINKALICIOUS at Theatre of Youth starring Sabrina Kahwaty, and a musical about high school, HEATHERS, closes this weekend, an ART production put on in an old high school. Curtain Up! is tonight, and regardless of which theater venue you attend, you're invited downtown for the big "after the shows" street party where you can see Lynn Kurdziel Formato's star, the latest in the "Plaza of the Stars" on Main Street at Tupper. Here's good news for readers! Anthony Chase is back writing reviews for GUSTO at The Buffalo News. And we are sad to note that three-time Tony Award nominee Marin Mazzie known on Broadway for RAGTIME, PASSION, and KISS ME KATE died Thursday of ovarian cancer at 57. CHARLIE AND THE CHOCOLATE FACTORY opens a national tour tonight at Shea's with a new score from the songwriters of HAIRSPRAY. and producer Mark Kaufman couldn't be happier with the cast and his time in Buffalo, as he told WBFO Theater Talk co-host, Peter Hall. 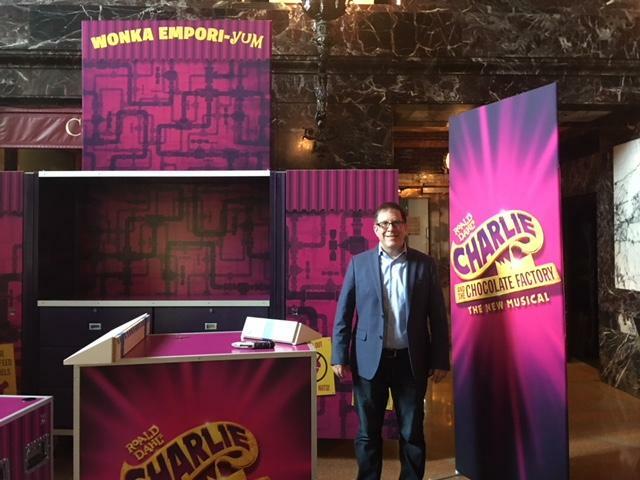 A conversation with Mark Kaufman about CHARLIE which opens at Shea's. 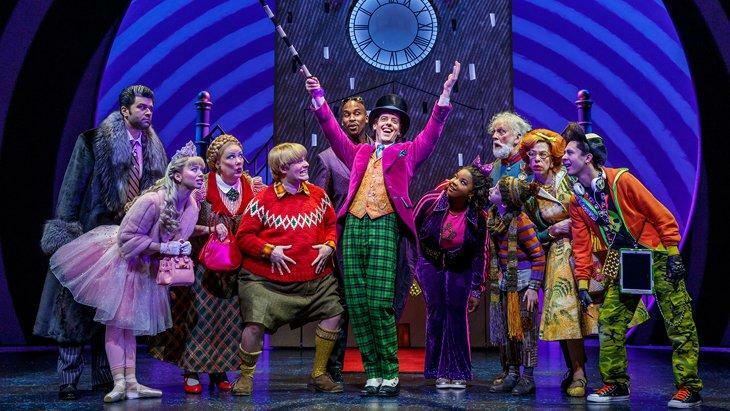 There is a University at Buffalo connection to the Broadway tour of Charlie and the Chocolate Factory; The New Musical opens Friday event at Shea's Performing Arts Center. WBFO's senior reporter Eileen Buckley says the general manager of the tour is a UB alum. 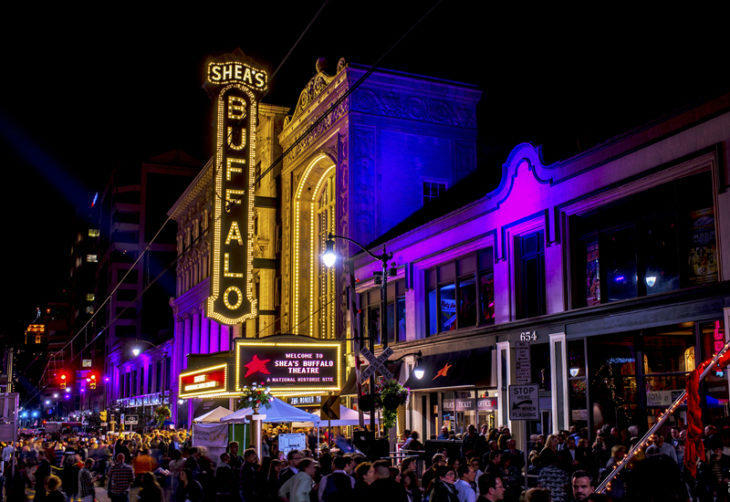 WBFO's senior reporter Eileen Buckley says the general manager of the tour is a UB alum.